Home of the famous Azteca, one of the world’s temples of football, but there is much more football in Mexico City. Three top teams, large stadiums, and, of course, the famous Latin American football atmosphere. Mexico City is the capital of a football-mad country. While few football fans will take a flight all the way to Mexico just to see the football, many will find themselves in the capital as part of a longer holiday. And while you’re there, seeing some football and tasting the Latin atmosphere should definitely be on the top of your list. After only a few hours walking through the city, you are likely to start recognising the different football kits. There is the yellow of Club America, the blue with the red cross of Cruz Azul, the panther’s head of Pumas de la UNAM, and the white and red stripes of Chivas. Chivas are not from the capital though, they are from Guadalajara, but are together with America the country’s most popular team and have ample support in the capital. Cruz Azul and Pumas complement the country’s ‘Big four’ in terms of popularity, though not necessarily in terms of recent silverware, which gets spread more evenly across the country. 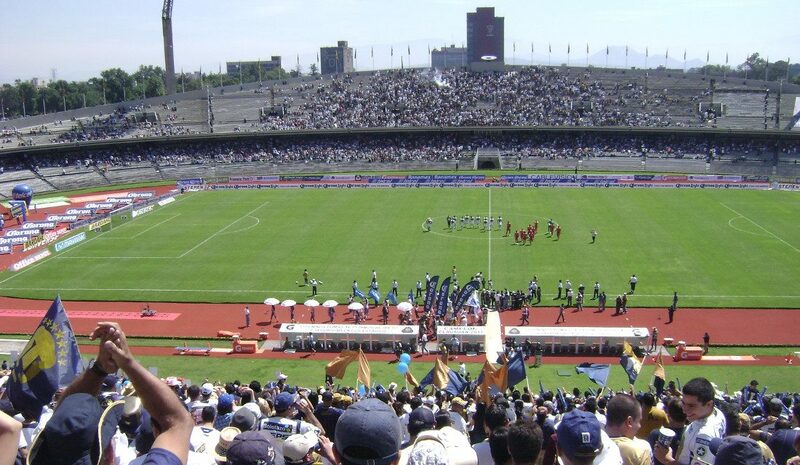 Two more clubs used to have the capital as their base, Necaxa and Atlante, but a lack of support drove them away to try their luck in other cities. Clubs being bought and moved to other cities, or going bankrupt and disappearing is a feature of Mexican football. 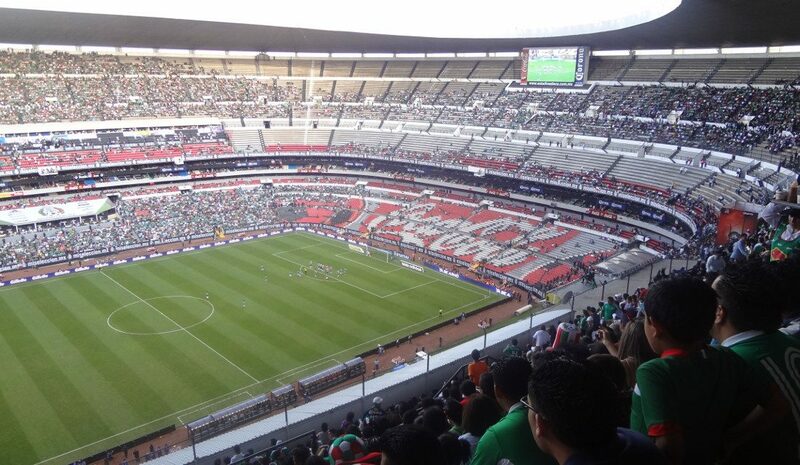 This has resulted in that Estadio Neza, Mexico City’s fourth-largest stadium, is currently without occupant. Those spending more time in the city, or who fancy a little trip, can venture out to Liga MX clubs Pachuca, Puebla, or Toluca, which are all a two to three hour bus ride away and can therefore be done on a day trip. Pachuca and Toluca are amongst Mexico’s most successful teams, play in cosy but well-filled stadiums, though the cities are of little touristic interest. 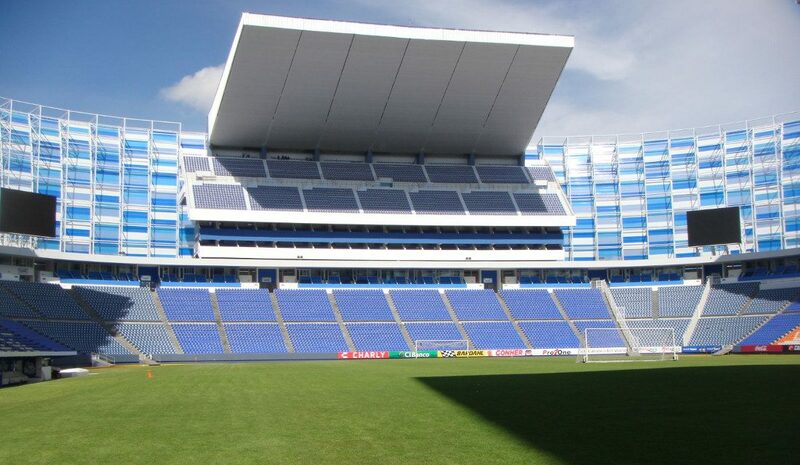 Puebla, on the other hand, is well worth visiting, plays in an impressive stadium, but has struggled in recent years which at times is reflected in attendances. Since most matches kick off at different days and times during the weekend, there will likely even be the opportunity to watch more than one game in one weekend. If the Mexican national team is in town, which is common for qualifiers but rare for friendlies, these get played at the Azteca. The Liga MX is a rather closed league with limited relegation, which translates to the popularity and quality of the clubs below. While attendances in the Liga MX are amongst the highest in the world, these drop significantly in the Liga Ascenso and third division, and stadiums tend to be rather simple affairs. You’ll need to be one of the more adventurous types to attend a match in the lower leagues, venturing out into the suburbs of Mexico City or taking on bus journeys to dusty regional towns. Getting around Mexico City can be daunting at first especially if you get caught in the streams of people on the metro during rush hour (or find yourself stuck in traffic). However, once you’ve taken those first few steps, the Mexico City transport system isn’t too hard to navigate. Most people will be happy enough to stick to the metro to get around, not wanting to bother figuring out local bus routes. The city has a wide network of lines that can bring you to most places. The new metrobus system (dedicated lane long bright-red buses), however, are an easy-to-use alternative, especially to get to some of the stadiums. You’ll need a good amount of knowledge of the city though to get around using the regular ‘pesero’ buses, so better not worry about those if you’re only around for a few days. City-wide journey planners such as the Citymapper and Moovit apps and Google Maps will help you on the way, while Uber is a good alternative for hailing a taxi on the streets. There’s is not much of a rail network in Mexico so intercity transport goes by bus, which are in most cases pretty comfortable. It does however mean that timing isn’t particularly precise, especially if you get stuck in traffic, so make sure not to leave it too tight. Estadio Azteca is located furthest away of the centre, about 15 kilometres, but is not that hard to reach as it is on the metro network. First take the dark blue metro line 2 to its last stop Tasqueña. The blue line can be boarded at several stops in the historic centre (e.g. Zocalo), or reached by transfer from most other central locations. Change to the light rail at Tasqueña, which looks very similar to the metro, but for which a separate ticket is needed. Get off the light rail at stop Azteca, right in front of the stadium. It will normally take 45 to 60 minutes to reach the stadium from the historic centre, but there can be quite a bit of queuing at Tasqueña on matchdays, so be advised to schedule at least 90 to 120 minutes for the journey. The stadium lies in a predominantly residential area and there is nothing more around than the stadium itself. The area and nearby Avenida Tlalpan can be a bit seedy at night so avoid the temptation to walk to whichever place (which would be too far anyway). Beware of pickpockets in the crowd that is waiting for the metro after the match. Estadio Azul is located most central, about 8 kilometres south-west from the historic centre, but only 3 kilometres south from the popular Condesa and Roma areas. The stadium lies one block off the large Insurgentes Avenue, which means there are plenty of eating and drinking opportunities around the stadium, from cheap fast food joints to upscale restaurants. The area is as safe as it can get in Mexico City. If you want to stick to the metro, you can get to the stadium with the red line 7, which runs in the west of the city (e.g. through the Polanco area). You will likely need to transfer at stop Tacubaya. Get off at stop Mixcoac, from where it is a small walk to the stadium. If you are staying in the historic centre, taking the metro is probably quickest. Alternatively, and especially if you are staying in the Condesa or Zona Rosa areas (around Reforma), you can use the metrobus to get to Estadio Azul. Line 1 of the metrobus runs all the way down Insurgentes Avenue. Find a station on Insurgentes, if it’s your first time buy a travel card at a machine, top up, go through the turnstiles, and take a bus in southern direction. Get off at stop Ciudad de los Deportes, from where it is a 5 to 10-minute walk to the stadium. 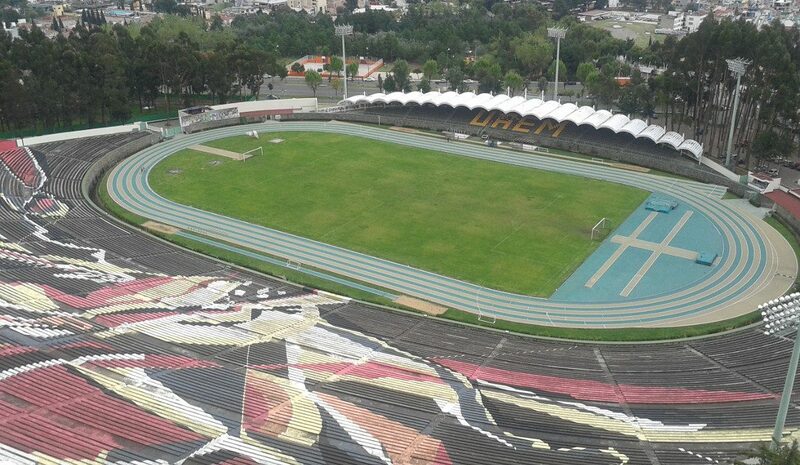 Estadio Olimpico Universitario is also on Insurgentes Avenue, but 6 kilometres further south. The stadium is part of the UNAM university campus, which is a pleasant place for a walk or to sit down on the lawn. It boasts a few World Heritage monuments as well. A bit further north, but definitely still at walking distance, lies the San Angel area, an area of cobbled streets, nice churches, and art galleries that has a large amount of (rather upscale) restaurants and bars and can be perfectly combined with a match at Sunday noon. You can also find the former house and workshop of Diego Rivera there, which is now an exhibition. Estadio Olimpico Universitario can be reached with the same metrobus as Estadio Azul. Get off at stop Dr Galvez and follow Insurgentes a few hundred metres further uphill. The metro is an alternative, but requires a 20-minute walk over the UNAM campus. Get a metro on line 3 towards Universidad and get off at stop Copilco. You can get to Puebla by taking a bus from the TAPO bus terminal, which can be reached with the pink metro line 1, or less frequently from the northern bus terminal. ADO is the bus company with most service, at least once every half an hour, but generally much more often, and there is no reason to book in advance. The journey takes just over 2 hours. The bus arrives in Puebla at the CAPU terminal, from where it is easiest to take a taxi to Estadio Cuauhtemoc. It is a short ride. Estadio Cuauhtemoc is located in the north of Puebla, so to get from the stadium to the historic centre another taxi is needed. Or ask around which local bus can be taken. Buses to Pachuca leave from Mexico City’s northern bus terminal (Terminal Central del Norte), which can be reached by metro or trolleybus from the Eje Central in the historic centre. Buses (e.g. ADO) to Pachuca leave regularly and again no reservations are needed. It may take time to get out of the city on a Saturday afternoon (especially when it rains) so add up an additional 30 to 60 minutes to the official journey time of 90 minutes. Estadio Hidalgo lies right next to the bus terminal where you arrive, which is very convenient. Cross the road and the massive concrete structure will be unmissable. If the match starts at 7:00pm, there will still be plenty of time to catch a bus after the game, but don’t linger around too much. According to the bus company there is always place on the bus, even on matchdays, so no need to book. Toluca can be reached with buses that depart from the western bus terminal (Central Poniente), which lies right next to metro station Observatorio (on the pink line 1). The journey takes about 75 minutes. 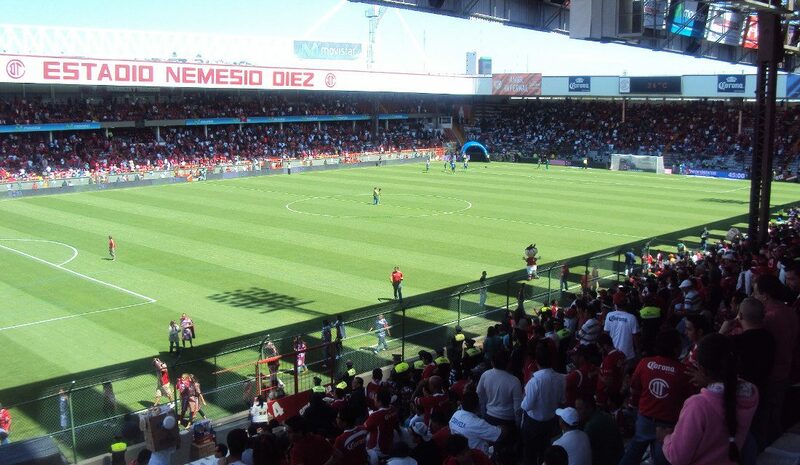 In Toluca it is best to take a taxi to Estadio Nemesio Diez, which is not too far away (walking would take about 45 minutes). The stadium lies just south-west of Toluca’s historic centre, to which one can walk in about 20 minutes. Mexico’s main international airport is located relatively central toward the east of the city. It has direct connections to various European capitals, most large cities in the USA, and most capitals in Latin-America. Aeromexico is the national airline, but there are various low cost airlines that serve domestic and a few international destinations. These include Volaris, Interjet and Vivaaerobus. Flying can often be competitive in price with taking a long-distance bus. To get from the airport to the city centre one can use the metro, though one or two transfers are required to get to most central areas, which can be uncomfortable if carrying a lot of luggage (especially during rush hour). Alternatively, you can catch the recently opened new metrobus line 4 that connects the airport with the historic centre. Of course, you might prefer the convenience of taking a taxi even though traffic during rush hour can be horrendous. Toluca airport also has a reasonable selection of predominantly domestic flights. It requires a (shuttle) bus journey to get to Mexico City though (until the new train line is completed in 2018), and then likely another metro or taxi ride to your destination, which will only be worth it if the price is significantly lower or if your destination is the Santa Fe financial district. There are few options to stay close to Estadio Azteca, and unless you are there just for the match and need a quick fix for the night, there is not really a reason why you would want to stay near the Azteca as it’s not a particularly attractive area far away from anything else. But if you do need to stay close, you’ll find a few options on the Azteca page. Do not get confused by the many hotels on nearby Tlalpan avenue as these are merely for “romantic” purposes. You won’t be able to book these online anyway. There are neither many hotels near Estadio Olimpico, but a strategically chosen hotel somewhere along Insurgentes avenue will get you to the stadium quickly. The charming neighbourhood Coyoacan could also be a good area to base yourself as it’s a relatively short taxi ride to the stadium. There are a more options near Estadio Azul or a little further north near the World Trade Center. It is a well-off area with offices, restaurants, and apartment buildings so most hotels are the business types in the higher price ranges. All in all, you’re more likely to find yourself a hotel in the areas that are more popular with tourist, such as the pleasant and lively Condesa, Polanco, and Roma areas, the area around Reforma Avenue, or the historic city centre. In Pachuca, you will have choice between a few hotels close to the stadium, whereas in Toluca the city centre is not far away. 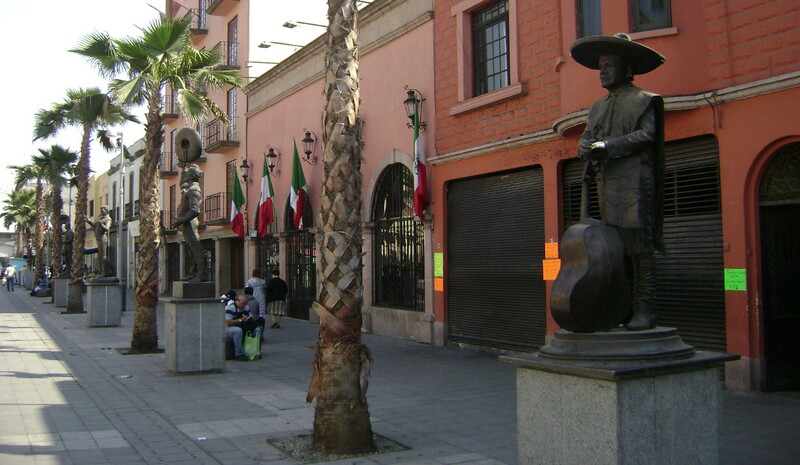 In Puebla, you are likely best of finding a hotel in Puebla’s historic centre. America, Cruz Azul, and Pumas sell out few matches, which means that you can practically always buy tickets at the ticket windows (taquillas) of the stadium right before the match. This is easiest at Estadio Azul, which has good indications of sections and prices and hardly any queues for the ticket windows. Ignore the touts trying to sell you tickets and make your way to the ticket windows. From practically every part of the stadium there is a good view of the pitch. The seats at the top (Preferente) are cheapest, but the ones in the middle (Platea) still offer a good deal. There tends to be a bit more queuing at Estadio Azteca and Estadio Olimpico Universitario, and therefore allow for at least half an hour for the typical match. Indications are poor, so it may be helpful to orientate yourself on the sections beforehand. If you speak some Spanish, the attendants will often be very friendly and willing to help you out though. The cheapest tickets for Estadio Azteca are the general admission ones for the upper tier, but it is good value for money to spend slightly more and sit a bit lower. Ticket prices get increased for the top matches, which is very common in Mexico. Tickets for the national team are generally rather expensive (a lot more than America). Try to avoid the lowest rows (more or less row 20 to 26) of the bottom tier as these often have restricted views. 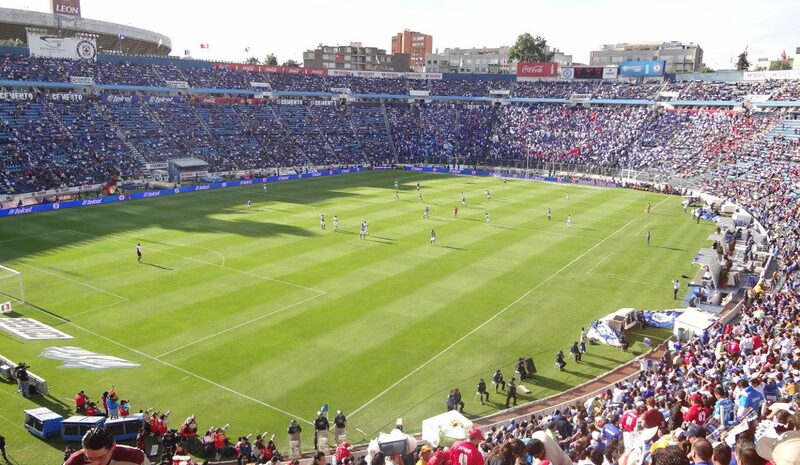 Avoid the ends and corners at Pumas matches as these tend to be almost deserted. Instead buy a ticket for the main stand, or alternatively for the other side. It you’re very lucky you may find yourself a seat in the shade, but better not forget to wear sunscreen. If you want to buy your ticket before, or if you want to be sure to have a ticket, you can use the familiar Ticketmaster system. You can book online, or find one of the sales outlets and buy your ticket there. Of course, if you book in advance, you pay the Ticketmaster fee, so there is often little reason to do so for the typical match. The Ticketmaster website is still very useful to learn the names of the different sections though. No identification is required to buy a ticket, but it may be sensible to take off your belt before visiting a match. They are not always allowed inside, and you will be forced to hand them in at one of the collection points, where you can pick them up after the match (which will cost you a small fee). In Puebla, Pachuca, and Toluca you can also buy your ticket on the gate, though Pachuca fills up nicely so you may want to buy in advance for a high-profile match (Chivas and Mexico City clubs). Toluca also tends to sell out the high-profile games, though tickets will generally be easily available for regular matches. Expect some queuing in Puebla, but less in Pachuca and Toluca. Both Puebla and Pachuca use the Superboletos system, while Toluca have their own platform. 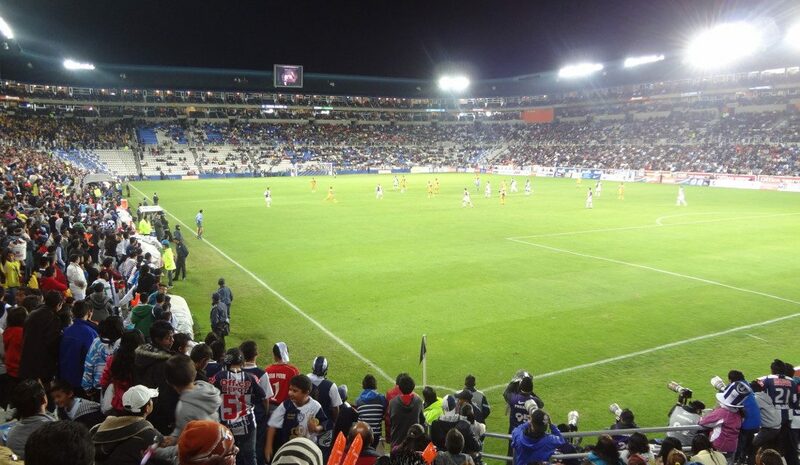 Almost all tickets for Pachuca matches are general admission, and you can therefore sit anywhere in the stadium (apart from some dedicated fan sections). Puebla also has free seating, and in particular the upper-sections at the long sides are good value as they provide you good views and cover. If you can’t make it to a match but still want to admire the impressive Estadio Azteca, then you can get on a stadium tour instead. Tours run seven days a week every half an hour (though check the current schedule). In terms of non-football options, Mexico City’s historic centre with the impressive Zocalo square and buzzing side streets is well worth exploring. Both the Coyoacan and San Angel areas, with cobbled streets and charming houses, are great alternatives for a more peaceful walk. There are various museums in the historic centre, but arguably Mexico’s best museum, the Anthropological Museum, is located further south-west in the Chapultepec Park. This park is also Mexico City’s nicest, particularly lively on the weekends, and holds the city’s zoo with its pandas. If you are into Diego Rivera paintings, you can travel all over the city to find his works. Of course, don’t forget to check out his mural on the facade of Estadio Olimpico Universitario. Both his and Frida Kahlo’s former houses have been converted into museums. The Aztec pyramids outside of the city in Teotihuacan should be on anyone’s list to visit. They are one of the highlights of the country and can be reached by bus from the northern bus terminal. Also great for a day trip outside the city are the villages of Cuernavaca, Taxco, and Tepoztlan, which all lie south of the city. Cuernavaca is a favourite weekend hangout for the populace of the capital, Taxco is stunningly situated, and Tepoztlan has an Aztec pyramid up on an adjacent hill. If you do get it into your head to check out a Zacatepec match at Estadio Agustin Coruco Diaz, you’ll be able to catch a bus from Cuernavaca to get to the town that lies 50 kilometres further south. Or you can keep it simple and check out Cuernavaca’s own local third division team: Athletic Morelos. Finally, back in Mexico City, taking a boat ride along the canals of Xochimilco is a typical Mexican experience. 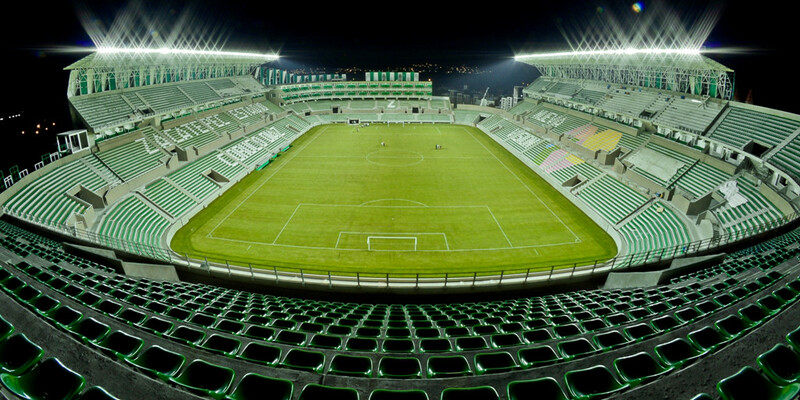 You’ll even be able to combine it with a match of Sporting Canamy, the local third division side that play at the modest Estadio Valentin Gonzalez.